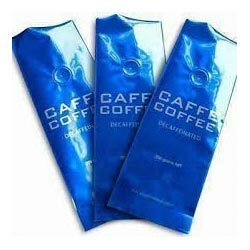 We are offering supreme quality Coffee Packaging Pouches, which are made from high grade material and aluminum foil that keep the freshness and aroma of the coffee seeds. We make these packaging pouches in several designs and capacities as per the specification of our clients, which are also offered in several standard designs. Our company has adopted the policy of no-compromise on quality standard, thus the material we use in manufacturing plastic go through several quality tests and verifications. 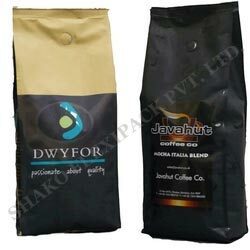 We develop supreme quality Coffee Packaging with Degassing Valve that are widely preferred for keeping coffee fresh and air-tight. The packagings, we offer are leakage proof and tamper free. The degassing helps in saving the space and makes it easy to carry. We make these available in several standard sizes as well as in customized forms. We are offering impeccable quality Bosch Valve for Roasted Coffee Beans that is able to keep the beans fresh and moisture free. 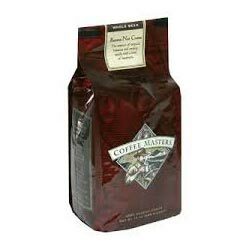 We use superior plastic packaging for roasted coffee beans that remain uncontaminated and leakage proof. These pouches are available in several standard dimensions and capacity, but also offered in customized design as per the requirements of our clients. The packaging protects the coffee from damage and is highly temperature resistant.